For her sixteenth birthday, Vaela Sun receives the most coveted gift in all the Spire—a trip to the Continent. It seems an unlikely destination for a holiday: a cold, desolate land where two nations remain perpetually locked in combat. Most citizens lucky enough to tour the Continent do so to observe the spectacle and violence of battle, a thing long vanished in the peaceful realm of the Spire. For Vaela, the war holds little interest. As a smart and talented apprentice cartographer and a descendent of the Continent herself, she sees the journey as a dream come true: a once-in-a-lifetime opportunity to improve upon the maps she’s drawn of this vast, frozen land. But Vaela’s dream all too quickly turns to nightmare as the journey brings her face-to-face with the brutal reality of a war she’s only read about. Observing from the safety of a heli-plane, Vaela is forever changed by the sight of the bloody battle being waged far beneath her. And when a tragic accident leaves her stranded on the Continent, Vaela finds herself much closer to danger than she’d ever imagined—and with an entirely new perspective as to what war truly means. Starving, alone, and lost in the middle of a war zone, Vaela must try to find a way home—but first, she must survive. The Continent is a trip of a lifetime. A beautiful place to explore and see from afar. This book was such an fantastic read. I thought this was such an original story. Something I never read before. I’m glad I gave this book a chance. It was hard reading the struggles the main character had to go through, but I did like her in the book. It very detailed world that drew me. Vaela has such an creative nature in the book. Wanted to see the world around her. For her birthday she gets a trip of a lifetime. When and accident happens, leaving her alone in the wild of The Continent. Facing so many dangers and trying to stay alive alone. Will Vaela find a way home again? Thought this book was a fast pace read. I enjoy watching Vaela grow and learn new things. This book is good for those who looking for something new and adventurous. I’m giving away a new paperback copy of the book for my birthday. Thanks to Stay Fetters at ACourtofcoffeeandbooks for the banner. 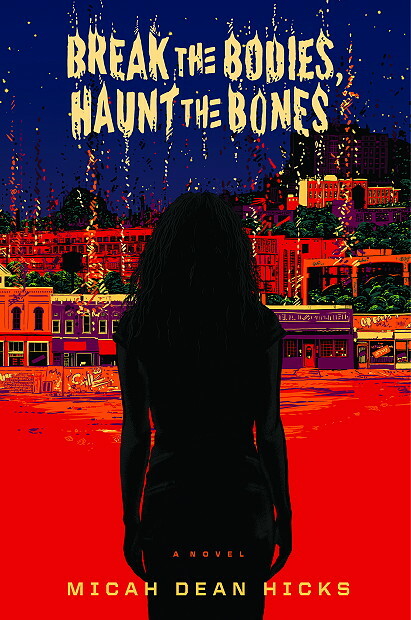 Break the Bodies, Haunt the bones was such an unique read. Very different than I’m use to reading. I did enjoyed the book and the story it told. Even the characters I could connect with. I was happy to a part of this blog tour. Jane in the book, hardly has any friends. She haunted by a lonely ghost since she was a child. Her ghost never hurt her, just can read what other people thinking and feeling. She really wants to be free of Swine Hill. Which means she needs money and save her family, from the ghosts haunting them. Will Jane be able to break free of Swine Hill? Thought it was a very good detailed read on how the people of Swine Hill lives. This book is good for those who are looking for something out of this world. 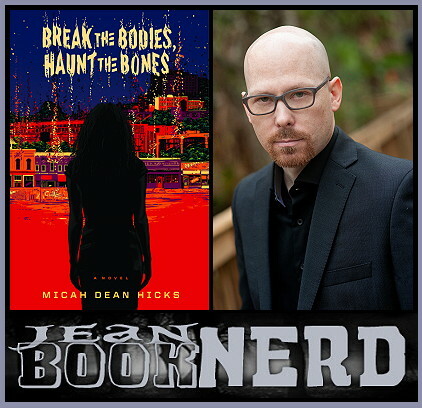 Micah Dean Hicks is the author of the novel Break the Bodies, Haunt the Bones. He is also the author of Electricity and Other Dreams, a collection of dark fairy tales and bizarre fables. His writing has appeared in The New York Times, The Kenyon Review, and elsewhere. Hicks grew up in rural southwest Arkansas and now lives in Orlando. He teaches creative writing at the University of Central Florida. I was lucky enough to attend three awesome signing events this month. I have a great time and took tons of pictures. A.C Gaughen and Tiffany Schmidt. These two had wrote such amazing reads. If your in the mood for some high fantasy adventures then check out A.C Gaughen new books Reign of Earth and Imprison the Sky. Also looking for that summer love romance check out Bookish Boyfriends by Tiffany Schmidt. Did read and review these book on my blog. Robin Lefever wrote an pretty cool assassin series. Her book are for fans of Sarah J. Maas. Pretty cool that there are train killer nuns working with death. Have yet review the books on blog. It been years since I read them. Would love to a reread, since the fourth book came out. I was lucky enough to met these three author last nice. Their books are so good and I love them. High fantasy lovers must check out the books. I been so busy with work and real life stuff. Been going to bed early a lot and have not been reading much. Plus dealing with hypertension in eyes and resting them. Working on finshing up a book for blog tour right now. Then try to pick out next read. What would you do if the sun became your enemy? That’s exactly what happens to Viola Li after she returns from a trip abroad and develops a sudden and extreme case of photosensitivity — an inexplicable allergy to sunlight. Thanks to her crisis-manager parents, she doesn’t just have to wear layers of clothes and a hat the size of a spaceship. She has to stay away from all hint of light. Say goodbye to windows and running outdoors. Even her phone becomes a threat when its screen burns her. Viola is determined to maintain a normal life, particularly after she meets Josh. He’s a funny, talented Thor look-alike who carries his own mysterious grief. But the intensity of their romance makes her take more and more risks, and when a rebellion against her parents backfires dangerously, she must find her way to a life — and love — as deep and lovely as her dreams. What happens when the sun is your own worst enemy? That’s what had happen to Viola, when she was vacationing with her aunt one year. Somehow the sun start poisoning her body. With so many plans and dreams she had hope to accomplish when school ended. Now she got to come up with a new plan that involves working in the dark. I did enjoy the book. I liked how Viola is a fighting for her life. No many what the doctors told she worked hard and stayed in school. You get to see the struggle she has with her disease and leading a normal life in the daytime. Will Viola let this disease defeat her in the end or will she go down fighting? This was a short read. If your looking for something different, than you might liked this book. Sorry review is so short, the summary gives most of it away and it was an quick read. When seventeen-year-old Nedra Brysstain leaves her home in the rural, northern territories of Lunar Island to attend the prestigious Yugen Academy, she has only one goal in mind: learn the trade of medicinal alchemy. A scholarship student matriculating with the children of Lunar Island’s wealthiest and most powerful families, Nedra doesn’t quite fit in with the other kids at Yugen, who all look down on her. All, except for Greggori “Grey” Astor. Grey is immediately taken by the brilliant and stubborn Nedra, who he notices is especially invested in her studies. And that’s for a good reason: a deadly plague has been sweeping through the North, and it’s making its way toward the cities. With her family’s life–and the lives of all of Lunar Island’s citizens–on the line, Nedra is determined to find a cure for the plague. Grey and Nedra continue to grow closer, but as the sickness spreads and the body count rises, Nedra becomes desperate to find a cure. Soon, she finds herself diving into alchemy’s most dangerous corners–and when she turns to the most forbidden practice of all, necromancy, even Grey might not be able to pull her from the darkness. This book was so incredible. I enjoyed every minute of it. The story and world building was so unique. It’s perfect for the fall read. The characters I did enjoy, watching them grow. Nedra, I did enjoy her. She was brave and only care to cure the sickness. She could less making friends at the new school. She only cared about helping the people out. She has such a kind caring heart in the book. Will she be able to find the cure and save everyone before it’s to late? Grey, I liked him in the beginning. Always standing up to Nedra. He is such a soft hearted guy, follows the rules. Will he be able to stay with Nedra, when she does something unforgivable to cure the sick? This book is breathe taking. Leaving you on the edge of your seat at times. So many body counts and death due to a sickness. You get to read both points of view to Grey and Nedra. Only you must read to find out what happens in the end. Be ready for some shocking twists and turns. Been a while since I post some bloopers on my blog. When you got work and trips line up this month it easy to forgot things. Bella did about 5 reviews this month just about. The rest was Snowball since she was sick a few days. I’m happy Bella is feeling better and ready to blog more after I buy her more snacks. Here are the latest bloopers. Sorry been kinda slow with blogging since last week. Been so busy getting ready for book con. I know I could set up posts and all but been so busy. I got some awesome reviews coming up and a blog tour of a new fantasy series. Did not take much pictures this weekend. Was so busy wondering around for books. So here is my book con haul for both days. Thanks to my friends who went to bea and got me books. Also thanks to a girl and her mother at book con for Broken Things arc exchange. Also another person in the group for four dead queens arc. I’m not very good with names. Some doubles you may see, so watch out for some giveaways later on. Hope you had a blast at book con. Thought this book was little insightful with mental illness. It’s always a daily struggle for those who want to feel normal. I enjoy the author work with the book. Enjoy the story and the characters in it. I really like Alex in the book. Alex is a good kid in the book and just wanted to fit in high school. So she hides her schizophrenia from everyone. Then a boy she knows when she was a kid show up at school. Is he real or something she made up? Finish and Reviewed Ash Princess. I finish and will review this new mystery book I read later this week. What I’m currently reading and What I’m reading next? Group pictures. In middle of Emergency Contact and got three arcs to read next, Bookish Boyfriends, Brightly Burning and Ship. The arcs are May first books release. Will read and review also for my readers. 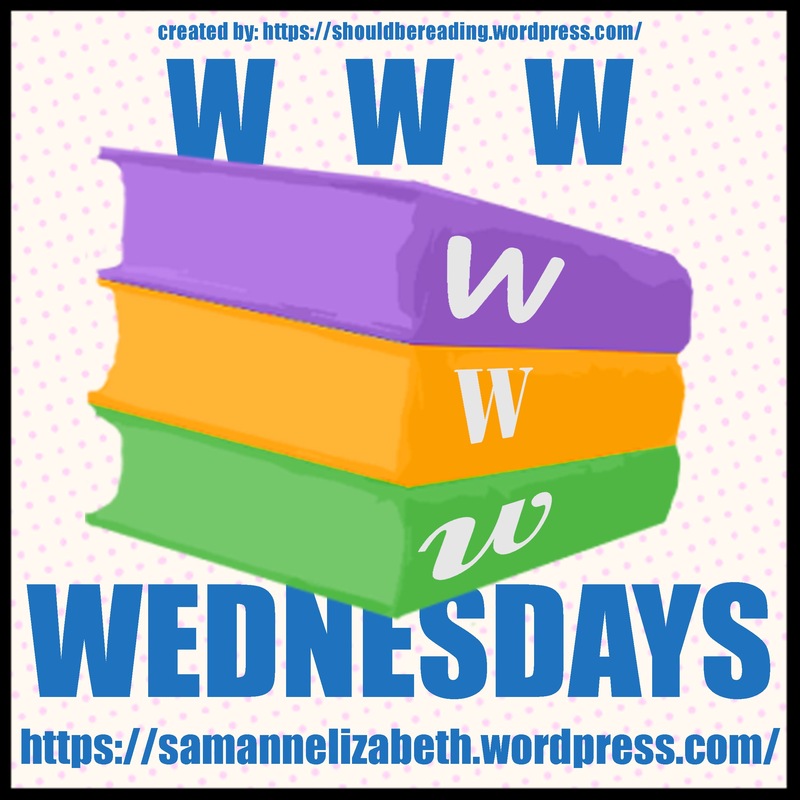 What is everyone reading this week?